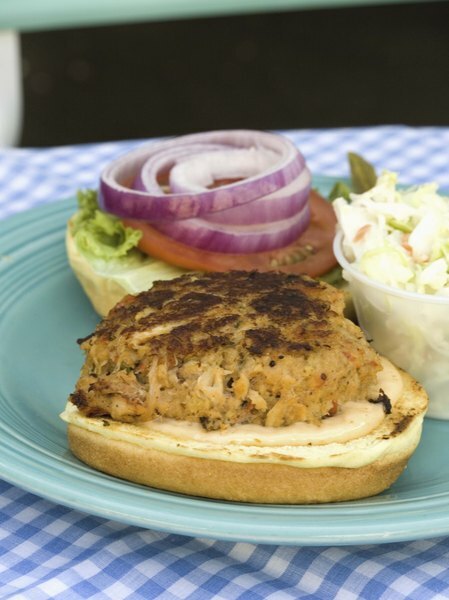 Enjoy a lean turkey burger on whole-grain bread. If you're trying to maintain a healthy body weight for your body type, the conflicting information about carbohydrates can be confusing. These foods are your body's primary supply of energy and a healthy part of a balanced meal. A low-carb diet typically limits many carbohydrates. However, you can eat a balanced low-carb meal by eliminating starchy and sugary foods and adding more healthy high-fiber carbohydrate foods. 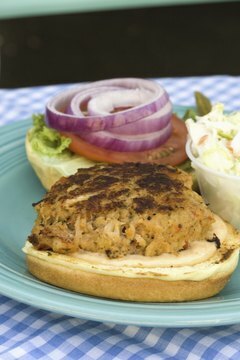 Enjoy a healthy alternative to a burger and fries with a turkey burger and a variety of low-carb side dishes. Fad diets typically restrict many foods, however, in most cases these diet trends are difficult to maintain long term and may not give you the daily nutrition your body needs. Many low-carb diet plans allow whole grains, grain products, vegetables and fruit that are high in fiber and other nutrients. Such low-carb diets can be healthy and sustainable because they replace processed and starchy carbohydrates with more nutritious types. 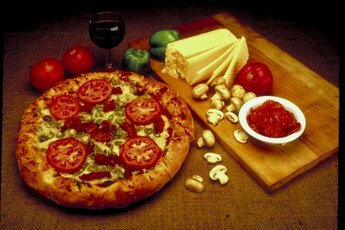 MayoClinic.com advises that carbohydrates should make up at least 45 percent of your total daily calorie intake. Turkey and poultry are good sources of lean protein. 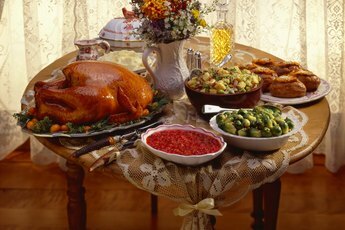 The National Institutes of Health recommends a healthy serving size of 2 to 3 ounces of turkey, which is about the size of a deck of cards. Ensure that your burger doesn't contain hidden carbs, such as bread crumbs and white flour, by purchasing diet versions or making your own with ground turkey meat. A low-carb burger is typically eaten plain or wrapped in crisp lettuce or cabbage leaves. If you just can't have a burger without bread, you can still stick to your low-carb diet plan. Choose breads that are high in fiber such as rye or multigrain, which give you 1.9 grams of fiber in each slice. Breads made from oat flour or spelt are also high in fiber and low in starches. You may usually opt for fries or onion rings to go with your burger. However, these traditional choices are high in starchy carbohydrates and fats. Low-carb options to eat with your burger include whole grains that are high-fiber carbohydrate foods. Boil a cup of pearl barley and flavor it with fresh herbs to get 6 grams of fiber. Or, have a side dish of brown rice, which gives you 3 grams of fiber. 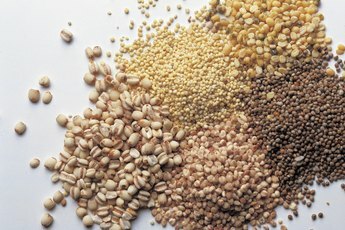 Other low-carb whole grains include couscous and quinoa. Alternatively, saute sliced mushrooms in low-fat canola or olive oil for a low-carb side dish. Enjoy your turkey burger on a bed of brightly colored, low-starch raw or cooked vegetables, even if you are on a low-carb diet. MayoClinic.com recommends high-fiber vegetables such as a cup of green peas, which gives you 8.8 grams of fiber, and 1 cup of broccoli with 5.1 grams of fiber. Add legumes such as kidney beans or chickpeas for added fiber. Avoid store-brought salad dressings, as these contain hidden sugars. 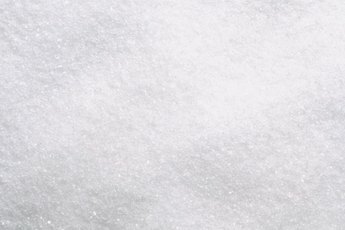 Instead, season your vegetables or salad with a homemade herb vinaigrette, which also helps to balance your blood sugar levels.